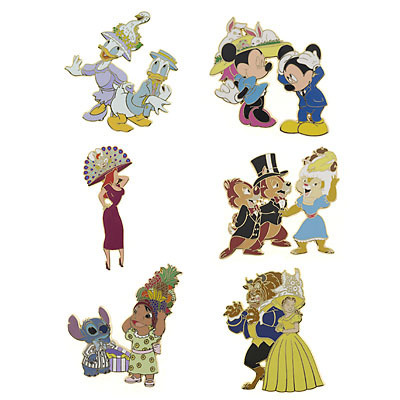 This set from Disney Auctions featuring characters in beautiful Easter bonnets. 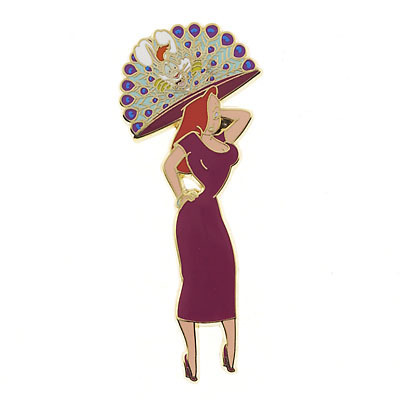 The Disney Auction pins started to become very popular and were being advertised more frequently. Jessica is in a maroon dress with short sleeves. Her large hat is full of peacock feathers. 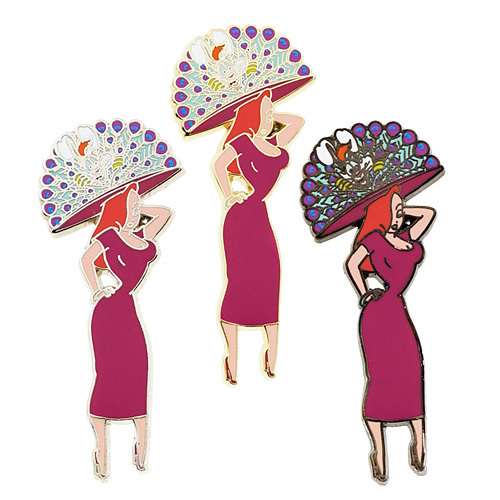 25 of the 6 pins were sold individually, while the remaining 75 pins were sold together as a 6-pin set. There may be unauthorized copies of this pin for sale as there have been ones found missing the hologram which is on the back.